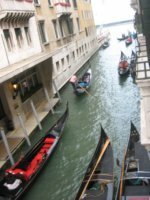 Looking for Cheap Venice Hotels in Venice? You will save money and can spend more on Fun! You are here at the right place finding Cheap Venice Hotels...! I know this because I have visited Venice a lot. For sure I stayed for 75% at cheap hotels in Venice. So, I can tell you all about it! I will show you information about great hotels with a price range between € 70,00 - € 175,00. All cheap hotels in the heart of this city! The hotel rates in Venice are one of the highest in Europe. Hotel Al Vagon has a location from where you can experience the atmosphere of Venice. I stayed here in late 2015. A total of 4 nights for EUR 430, -. Room number 29 with view on a canal. 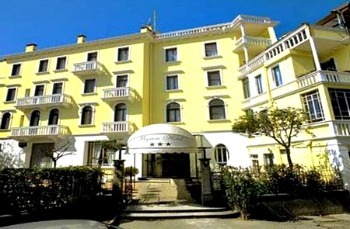 Hotel Lisbona is a cheap hotel where I still remember my first holiday in Venice. I stayed for 3 nights. The hotel rate went up when I checked for the last time. But it is reasonable because this Venice hotel is near the Piazza San Marco. Nice! Well, of course, I agree with you. These two hotels are somewhat still costly, but because of there location they are one of my favorite cheap Venice hotels. Hotels in Venice are sometimes unexpected romantic beauty spots in Venice. You will find one too. Keep looking and take into account that Venice hotels are mostly small, but comfortable. You will find a lot of affordable Venice hotels decorated with furniture and fabric reminiscent of the 18th century. Real Venetian style. When you stay in Venice, you will experience your holiday with all your senses. Admittedly, it's possible to visit Venice and sleep cheap...! Yes, you just got to prepare well. And I will show you how in these more in-depth details for a cheap hotel in Venice Italy! Budget life in Venice? Take care in which location you will have a drink. Otherwise, you have to pay for example for two cappuccino EUR 45,- on the San Marco Square. This carefulness you also have to be aware of when booking accommodation. Whether you're a student backpacker? A hostel is not fancy, but the goal is to save money. Ssssssst…. The jet is paying for fancy and expensive hotels, while you see the same sights... Finding good hostels in Venice Italy is not easy. Explore the city and read about my Top 5 favorite hostels in Venice. 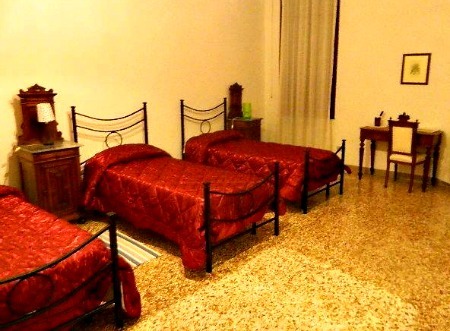 Comfortable Bed & Breakfast in Venice? Your host provides tips on what to do in this beautiful city. The tips are better than most travel guides. The B & B’s are an affordable alternative to expensive hotels. You do not have room service, but you get a comfortable home. I have a Top 5 carefully chosen Bed and Breakfast in Venice > Check it out! What is better? A hotel in the historic city of Venice or a Hotel in the urban town 'Mestre'? Many visitors are choosing a hotel on the island of Lido because the hotel rates are better than in Venice. Well, that's all set! You are ready to book your cheap Venice hotel with other budget tips! But, I will not leave you behind with to other addresses of hotels which are my favorable when I think about budget accommodation and great locations. Hotel Marconi Venice Italy has some cheap rooms, and it's near the Rialto Bridge. The great thing is, you can use the outside seating next to the grand canal. With the warm reception and simple rooms, it belongs to my selection of cheap places to stay. Arlecchino Hotel Venice Italy is a 3-star hotel near the Piazzale Roma. For most of you, the city of Venice begins here. The location of Hotel Arlecchino is in the historic center, and it's very conveniently nearby sights and shops. It is near parking, bus terminal and train station. Taking account of this and the accommodating staff it belongs to my selection of a cheap place to stay in Venice Italy. I have some Cheap hotel suggestions, as you will read. Please click on the links to explore my site more about the different topics.